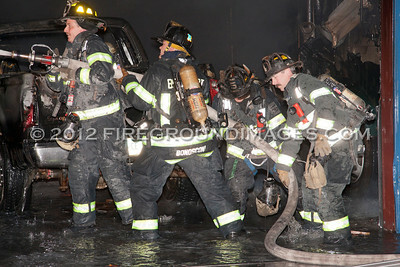 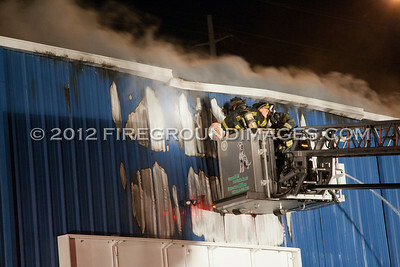 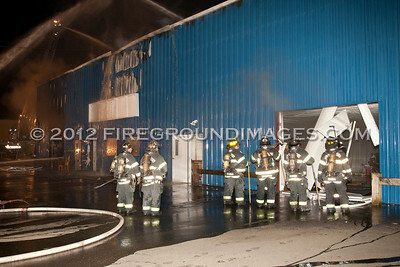 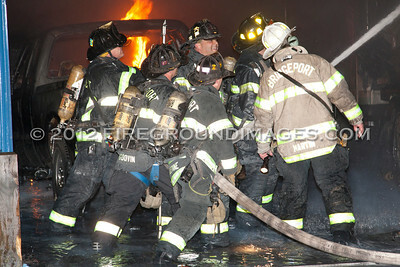 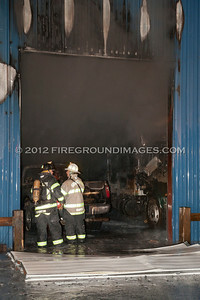 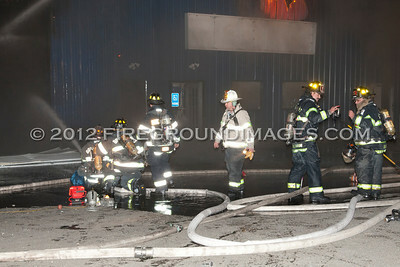 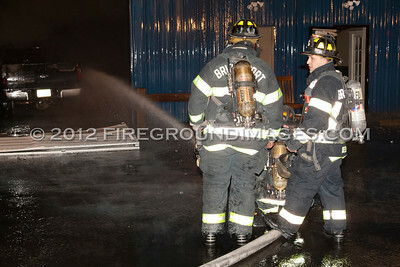 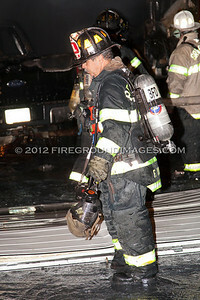 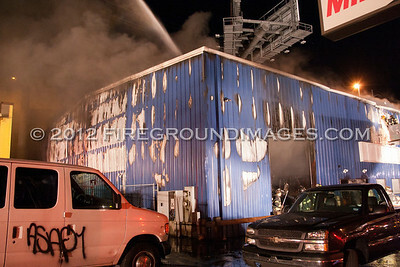 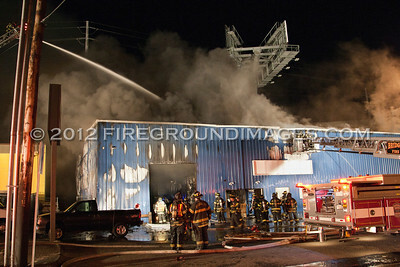 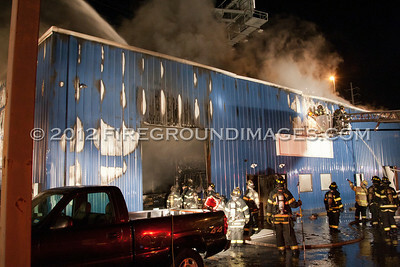 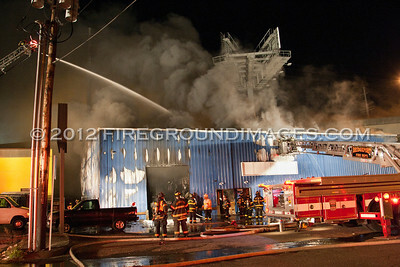 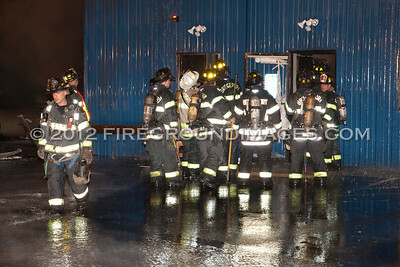 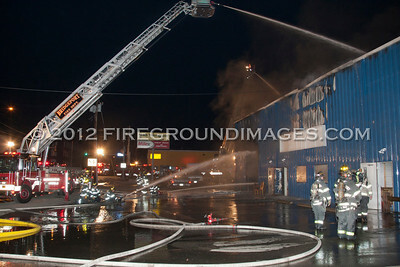 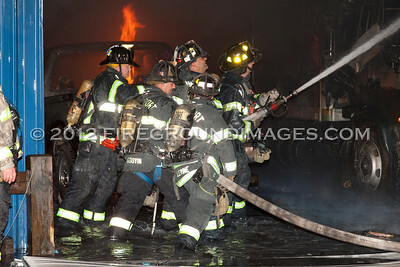 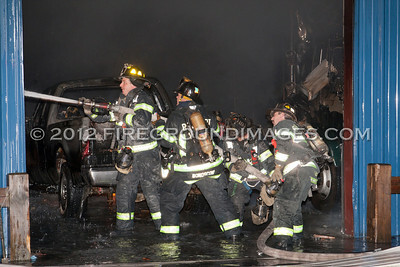 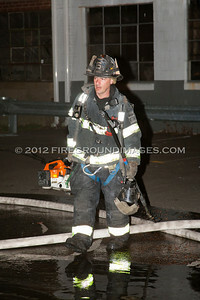 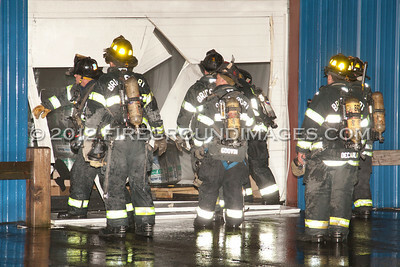 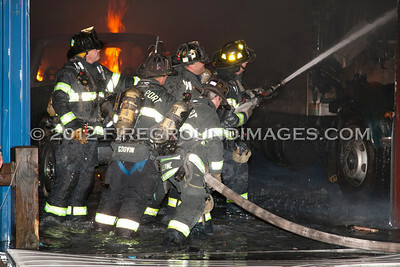 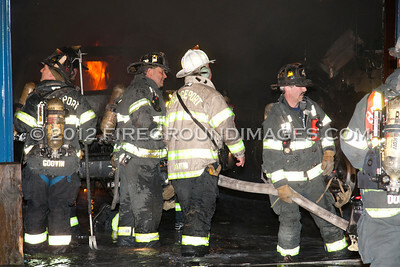 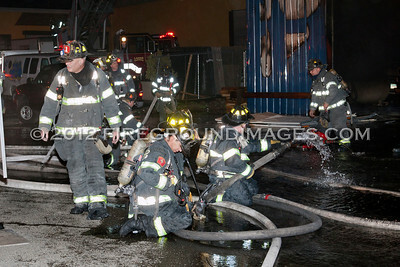 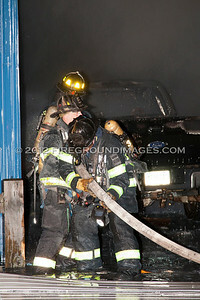 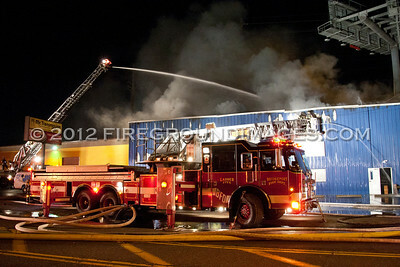 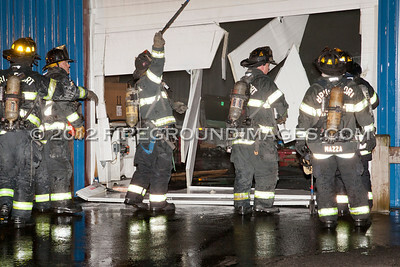 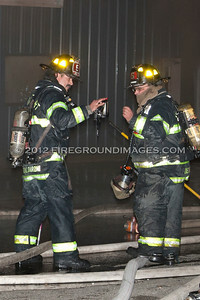 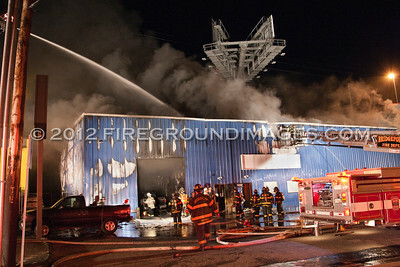 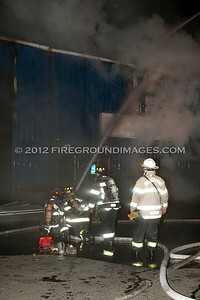 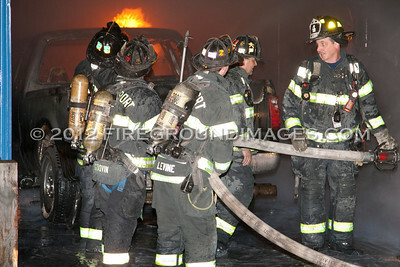 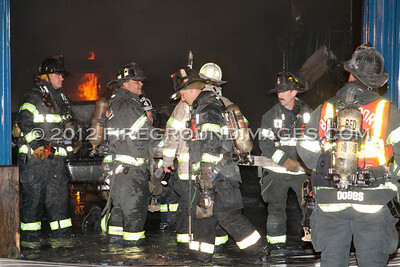 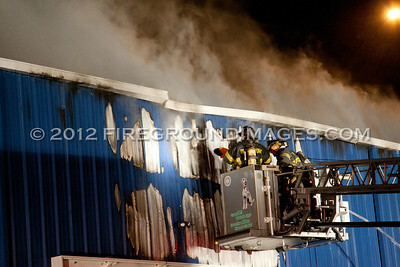 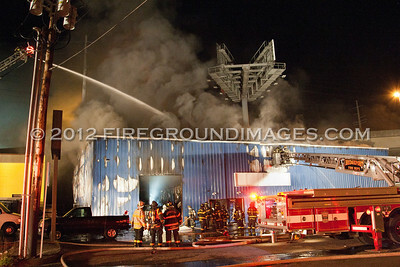 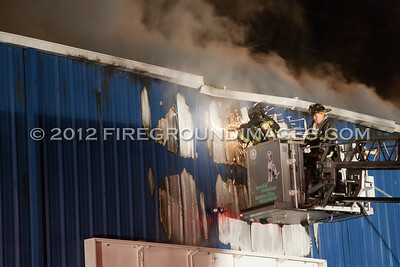 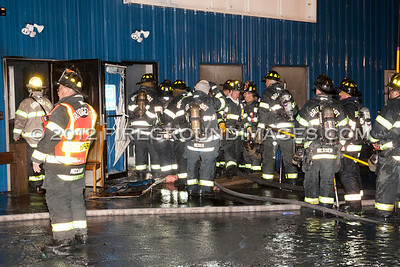 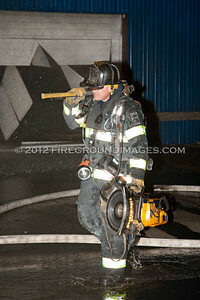 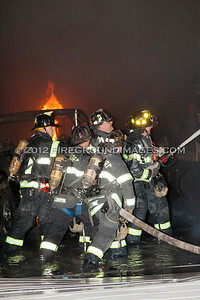 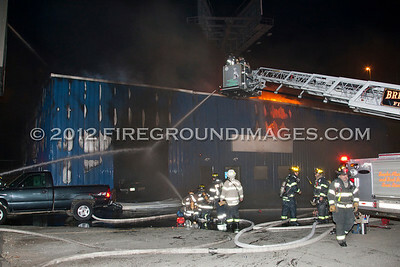 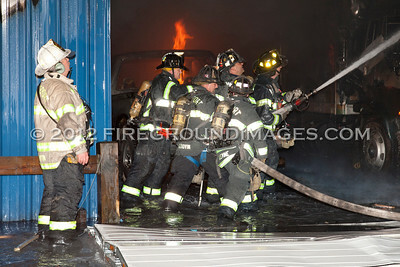 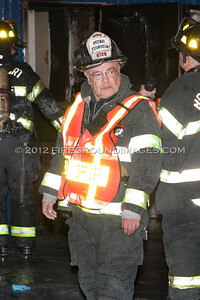 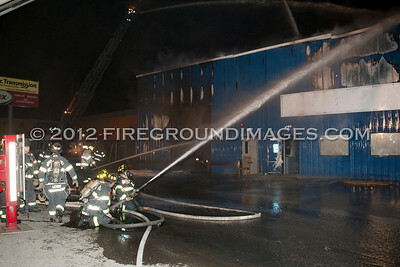 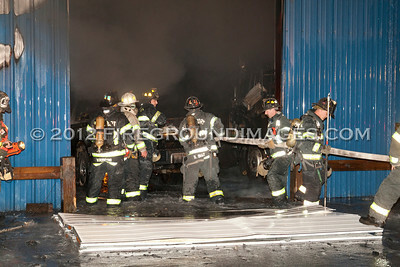 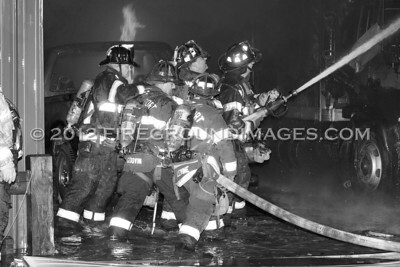 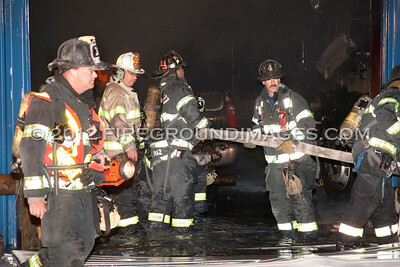 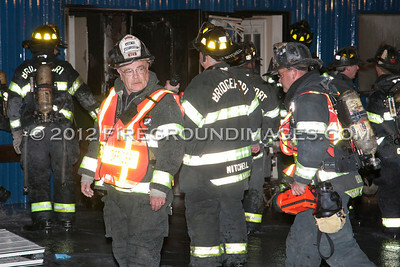 BRIDGEPORT, CT – At approximately 3:40 am on April 15, 2012, the Bridgeport Fire Department was dispatched to 1943 State Street Extension for a building fire. 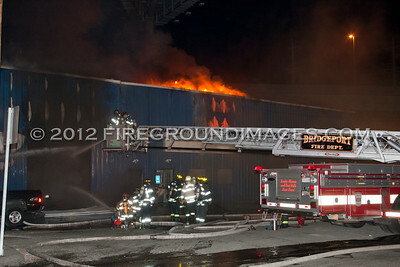 Engine 3 arrived first on scene reporting a metal warehouse heavily involved. 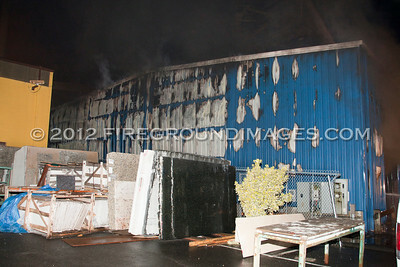 Approximately seven vehicles were destroyed in the warehouse that housed spray foam insulation products. 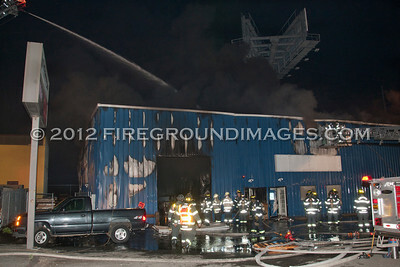 The fire also created problems on I-95 as the thick smoke engulfed the interstate up above the structure.